Featuring SIX AWESOME 1/24th scale race tracks! Six huge tracks to choose from!! 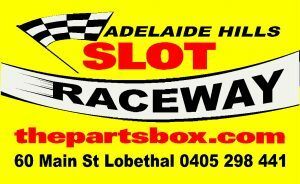 1/24 x 8 lane, Tassie Devil- Fully banked 43m (Magnetic) it’s very fast!! All these tracks suit 1/32 scale scalextric cars also. Food and drink must be kept away from all tracks and games.